IKF Honors Another Great One! 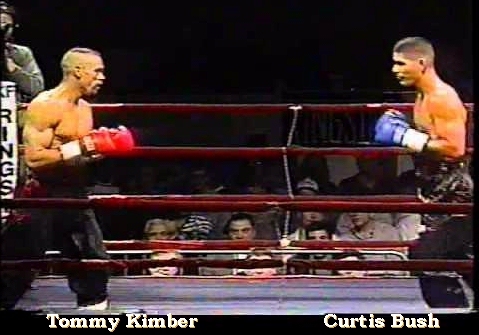 Curtis "The Explosive Thin Man" Bush was born May 26, 1962 and is a former 4 time World Champion Kickboxer in 4 weight divisions. 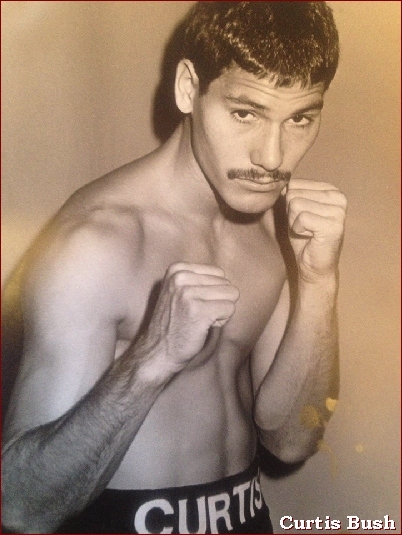 His fighting career lasted from 1979-1999 and during that time he fought 22 times outside of the United States. 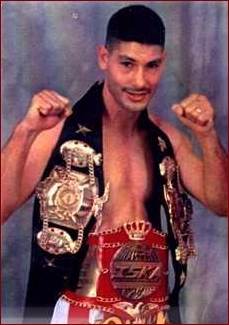 As a professional fighter, he had 54 Wins with 40 KO's including 15 first round knockouts. 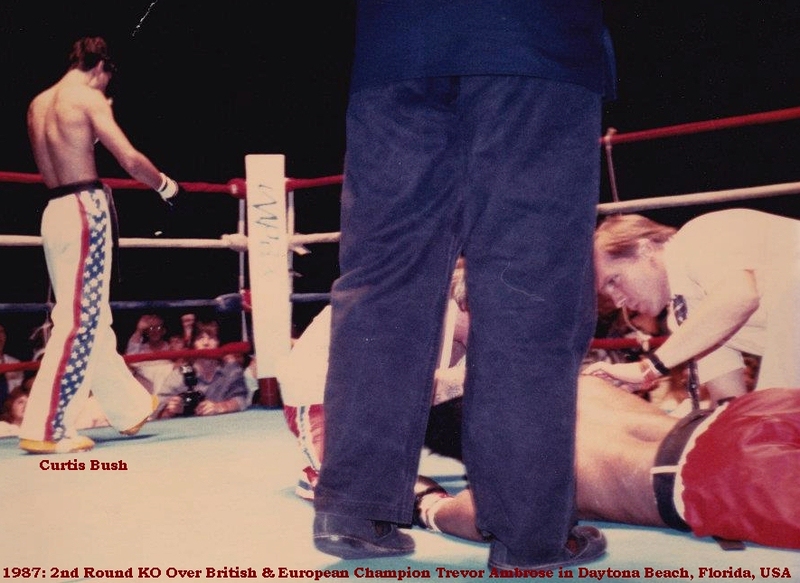 He was hand-picked by Muhammad Ali in 1984 to box on Ali's Champion Sports Pro Boxing Team in the Cayman Islands after watching him in a kickboxing match on ESPN knocking out his opponent with a head kick. 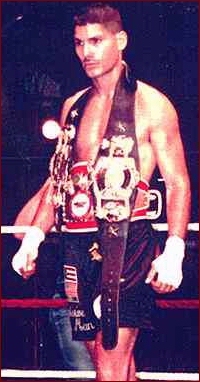 Bush signed a six fight contract with Ali's lawyer, Richard Hirschfeld to box in the Caribbean with a final bout in London, England for a minor title. 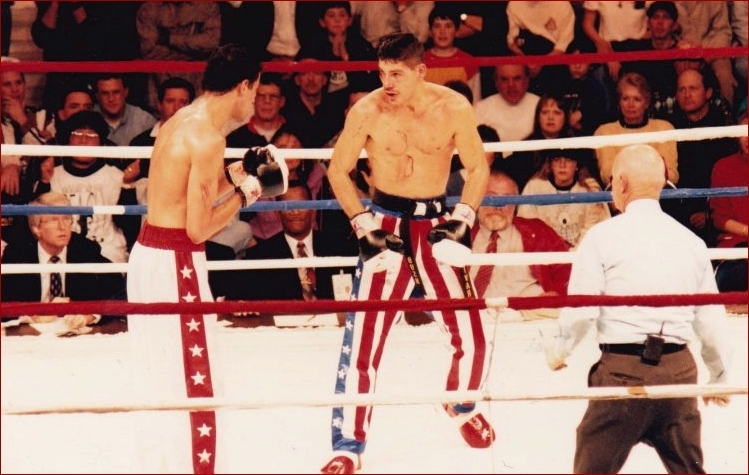 Bush won his boxing fight by 4th round knockout. 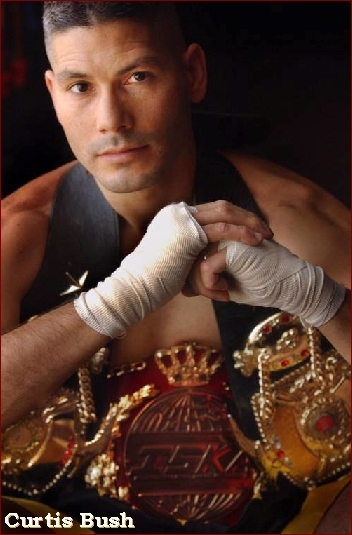 Curtis became the IBF - International Boxing Federation, #1 Intercontinental Jr. Middleweight contender after winning the USBA Jr. Middleweight title with a 10th KO over Lynn Jackson in 1994. Bush appeared on ESPN, ESPN 2 more than 10 times and on Eurosport Television 3 times. He is still to this day often seen on ESPN Classics. He was owner of the Curtis Bush Karate Club for 8 years and was honored with 'Curtis Bush Day' on April 27,1995 in Virginia Beach, Virginia by Mayor Meyera E. Oberndorf for his work with the D.A.R.E. program as a motivational speaker. Bush is also an actor. His first film role was playing a deranged poacher in the 1987 Canadian film Dragon Hunt filmed in Toronto, Canada. 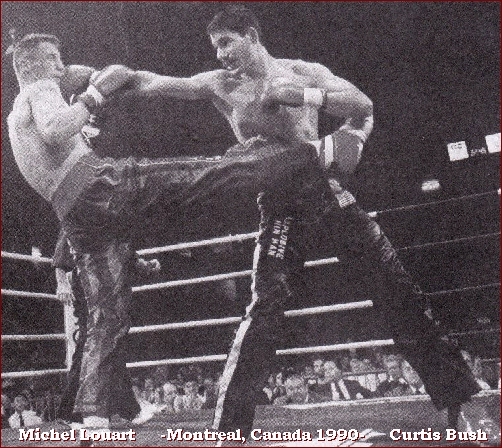 Bush was killed by the star Michael Mcnamara in a brutal fight scene. He played a "Foot" in the hit films Teenage Mutant Ninja Turtles and Teenage Mutant Ninja Turtles II: The Secret of the Ooze in 1989 and 1990. He starred in the locally produced UPN television series 464 Roadhouse in 1992. The series was based on the film Roadhouse starring Patrick Swayze. Curtis played Dillon where as Swayze played Dalton. He played a terrorist in the film Major Payne starring Damon Wayons in 1995. He starred in the gory, independent cult film Psycho Kickboxer released by EI Cinema in 1998. 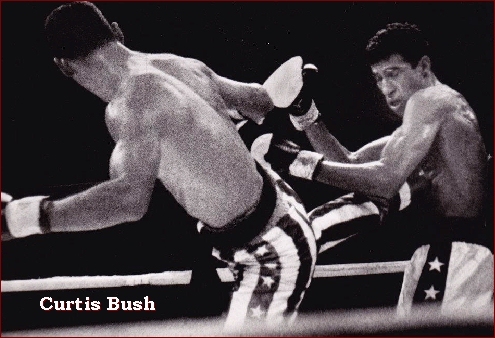 On June 30, 1999, after 75 professional fights, Bush (37) retired from competition. In 2000, Curtis and his wife Bette were chosen to do the motion-capture and face scannings for the characters "Cobra" and "Tsuki" in the X-Box video game: Bruce Lee: Quest of the Dragon (Right) released in 2002. Curtis continues to act and played an Army Sargent in the ABC series LOST in 2006. He currently worked as a Behavior Counselor and lives on the Oahu island in Hawaii. Began Tang Soo Do Karate in 1976 (age 13) with Patrick Frick. And 30+ cities across America! May 1999. 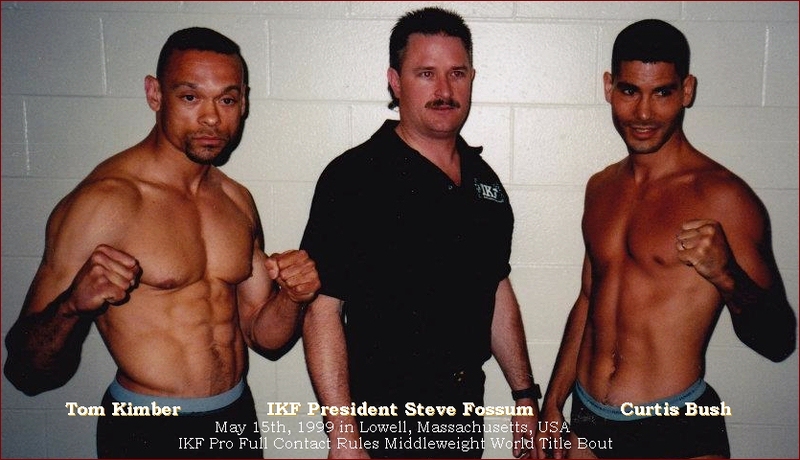 Final kickboxing fight, A decision loss to Tom Kimber for the IKF 165lb Middleweight World Title. A major noticeable back injury could very well be the reason that cost Bush yet another title.